The Iaido FAQ is a list of general questions that may help you decide on whether Iaido is the right discipline for you. 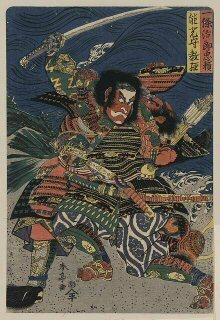 The truth is Iai and Japanese Swordsmanship is NOT for everyone. It is a very hard and intense discipline and will require a lifetime commitment for progress. Where does Iaido come from? How do you pronounce Iaido and what meaning has it? What benefits can I expect from the study of Iaido? How fit do I have to be to start Iaido training? Am I too old to study Iaido? Do you need equipment to start? Do you use real swords? I bought a Japanese sword on E-Bay - can I use it for Iaido practice? Is there sparring in Iaido? Iaido FAQ 1. What is Iaido? At its most basic level Iaido is the traditional Japanese martial art of drawing, cutting, and re-sheathing a katana (a particular type of Japanese sword). 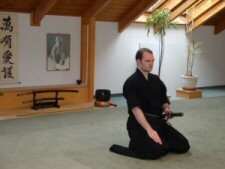 However, many practitioners would say that there is a deeper purpose to Iaido, one that strives to develop awareness, centredness, sincerity, a calm mind, and mental and physical harmony through the practice of traditional sword techniques. It is perhaps the martial art most closely associated with the samurai class and Japanese nobility. Unlike many other arts it has not developed a sporting element and remains true to its focus on the development of mind, body, and spirit. Iaido FAQ 2. Can I practise Iaido? Certainly. With that said, the decision to study Iaido is not one to be made lightly. 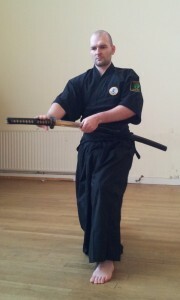 Practising Iaido requires a long term commitment. As one learns the fundamentals and develops an increasing technical understanding the techniques themselves increase in difficulty and as such they demand a longer period of time to learn. The subtle of even the simplest movements can take years to fully understand and appreciate it. But with that commitment comes a great sense of achievement, personal and technical development and a unique skill set and place in an unbroken martial tradition. Iaido FAQ 3. Where does Iaido come from? Iaido originates from Japan. There are many different styles or “ryu” of Iaido practiced and these developed as a result of different families and provinces, and of course different directions of thought. Each of these in turn has their own lineage and pedigree. For more information about the general progression of Iaido’s history check out this page. Iaido FAQ 4. How do you pronounce Iaido and what meaning has it? It’s hard to write it’s pronunciation and is one of many questions best asked of an Iaido instructor in person but to write it the best approximation would be Jeido. 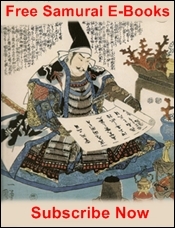 As regard the meaning of Iaido, there are a number of interpretations and translations available and it does not translate into English at all easily. The word itself is comprised of 3 Japanese characters: i-ai-do. Roughly, “I” comes from Iru, to be; Ai (as in Aikido) means coming together, harmony, or love; and Dō means road, or Way (in the Buddhist sense). Loosely translated then, Iaido means being in harmony with one’s surroundings, always being prepared for any eventuality. Iaido FAQ 5. What benefits can I expect from the study of Iaido? Different people find different things in Iaido and that is perhaps one of the reasons for its popularity. The theories and cultural context from which Iaido originated are long gone. No longer do we walk around with 2 swords at a time when deadly personal combat was a daily possibility. Many of the sensibilities from which these techniques were derived are alien to us I the present, however the underlying principles upon which they were based are still deeply relevant today. In fact, many find these principles are more important today given the nature of our society. For some Iaido is an art where they get to practice a living breathing history, to be part of a continued tradition and preserve an important piece of cultural history. Others enjoy more personal benefits, in learning to develop a sense of calm while in the midst of stress. All participants regardless of their personal motivations and benefits they derive from the study of Iaido all share in the increased physical co-ordination and dexterity improved through training along with substantial improvement in mental awareness, concentration and 'focus' - all honed through regular practice. Many martial artists find Iaido captivating and complex enough to serve as their sole art, others find it the perfect complement to their core system, but previous experience of martial arts is not required to benefit. Iaido FAQ 6. How fit do I have to be to start Iaido training? Not hugely, no. AT least not at the start. Iaido is not as aerobically challenging as many of the other Japanese martial arts such as Karate, Judo or Aikido and so can be practiced by young and old alike. With that said however, many advanced students find the activity of training gruelling both mentally and physically due to the great mental focus, deep stances and movements. It’s not uncommon to be breathing heavily, the sweat dripping off your brow and your legs shaking after a particularly good training session. Ultimately as with many things, you get out what you put in, and as always the best way to find out is to drop in and try a class. The study of Iaido is certainly worthwhile both from a mental and physical point of view, as it emphasis not only physical and psychological strength but mobility and fluidity of movement and thought. Many techniques do involve kneeling, and if you have a history of joint or knee problems it would be advisable to talk this over with an instructor and to wear knee pads. Iaido FAQ 7. Am I too old to study Iaido? It would be unlikely. Many practitioners of Iaido come to the art at later stages of life, and some of the most renowned experts and practitioners only started training in their 40’s! Currently in my Dojo members range in age from 18 to 58 and it's expected that practitioners train with an intensity that suits their own physical condition. At the early stages of training, a fair amount of time is spent on tanren or development drills to take you from any level of fitness and conditioning to that required for Iaido. As always this is done at an appropriate pace for the individual student. 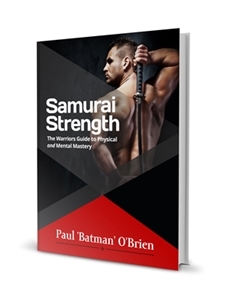 You don’t have to be fit at all to start, and overtime you will develop the unique blend of stamina, endurance and strength that comes from Iaido and that will serve you well in your lifetime. Many of the greatest Iaidoka today are in their late 90’s and still train daily. Iaido FAQ 8. Do you need equipment to start? No. Beginners train with a wooden training sword called a bokken. This will be more than likely provided by the dojo. However if you wish to buy your own they are quite inexpensive, and it is even possible to obtain a bokken with a saya (scabbard) – this is invaluable as it introduces the student to the use of a saya from the very beginning. Iaido FAQ 9. What do you wear? 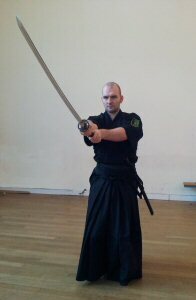 As regard clothing, during Iaido special clothing is worn. Iaidoka train wearing a hakama (traditional Japanese wide pleated trousers) and kekio-gi (jacket similar to that worn in karate). An obi (belt) is also worn. The Iaido obi is about 100mm wide and approximately four metres long, and wraps several times around the waist beneath the hakama. This allows the sword to be held securely. Because many Iaido techniques are performed from a kneeling position, kneepads are strongly recommended. Hakama and keiko-gi are robust versions of the formal samurai clothing of the 18th and 19th centuries. They are worn during sword practice, in preference to something like the clothes worn in karate, in part to emphasize the formality of occasion. Iaido training is meant to be more than just physical training, and the choice of clothes emphasises this. Additionally, the clothes add grace and dignity to an already graceful and dignified art.From a practical standpoint, the hakama is cool and comfortable, allows easy movement and disguises the feet from the opponent. Colours worn are usually dark, with black being generally preferred, but it is advisable to check with one’s instructor before ordering a uniform. No outward sign of rank is worn, though kimono-type gi and striped hakama are usually the preserve of high grades (fourth Dan and above), and generally only worn on formal occasions. Training is normally done barefoot, unless there is a medical reason for not doing so, though tabi (Japanese socks with a separate big toe) may be worn outdoors or for formal displays. In the beginning any clothing that permits a good range of movement can be used – a tracksuit, or judo or karate suit is ideal. A judo/karate belt will also suffice in the initial stages. You can read my review of the Samurai Workshop's clothing here. Iaido FAQ 14. Do you Use Real Swords? For the most part we use a type of blunt training sword called an Iaito. And iaito can made of steel however most commonly they are made of aluminium. The edge is unsharpened, along us to train with a sword that has the appearance and feel of a real sword without the risk of injuring ourselves or someone else. Very advanced Iaidoka would use a live sharpened blade called a Shinken. This is capable of cutting. Beginners are fine using a wooden sword called a bokken. That said after a few months of training and if you decide Iaido is for you, your instructor may recommend you purchase an Iaito. Training with an Iaito (sword-copy) often results in your educational level and the intensity of your learning developing a little faster. Before you get an Iaito it is important that your instructor thinks you are ready for it and also that you get the correct type and size for you. Iaito come in different lengths to suit the person wielding them, as always, talk to your instructor before making a decision. 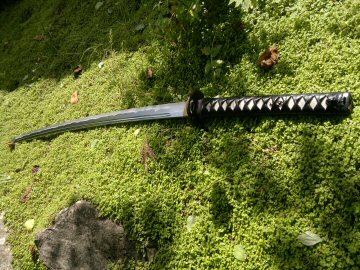 I explain the differences between these and the correct type of sword used in Iai in the Sensei's Sword: Choosing the Perfect Blade. Iaido FAQ 15. Can I use the sword I bought on E-Bay or local martial arts store for Iaido practice? Generally and most probably not. 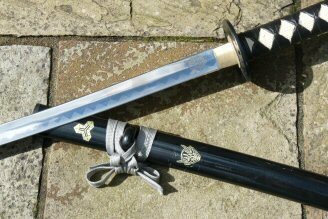 There were many “samurai swords” available before the new legislation came into effect, in “martial arts” shops, eBay and so forth. Unfortunately the majority of these are totally unsuitable for Iaido practice. Many of these swords are pressed and sharpened and also extremely brittle and can fracture unexpectedly. Additionally they lack a full “tang”, the part of the sword that extends into the handle. You should not attempt to use any sword purchased until it has been checked by your instructor. 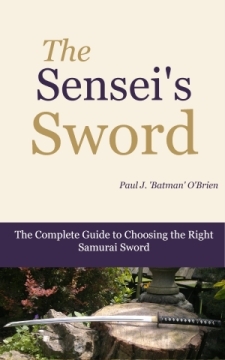 See the Sensei's Sword: Choosing the Perfect Blade for more. Iaido FAQ 16. Is Iaido expensive? Iaido is like any other hobby or leisure pursuit, and can be as expensive as you want to make it. However that is entirely at your discretion and it certainly does not have to be expensive to enjoy the art. While training fees vary from dojo to dojo, they aren’t generally very costly. Depending on where you get your gi and hakama, should you choose to dedicate yourself to the art, you could spend as little as $100. You can also get this second hand on occasion. Bokken are often provided by the club although you can purchase your own for as little as $30. Training swords - called Iaito - can be expensive, but purchase of an Iaito is not necessary until you are well advanced with your studies. Even so, great quality weapons are now available from Japan at very reasonable prices. See the SWORD REVIEWS SECTION for more. Iaido FAQ 17. Is there sparring in Iaido? There is no “free sparring” as in the conventional sense often seen in other martial arts, however many styles of Iaido engage in paired pre-arranged forms that safely simulate sparring. These drills, designed to teach proper distance and timing are performed using bokken, though some extremely advanced practitioners use Shinken. Within the Musō Jikiden Eishin-ryū (無双直伝英信流) style I practice and without variations included in either set - we have 42 solo waza vs. 64 paired forms. Clearly the majority of our work involves working with a partner to learn distancing, timing, and targeting against a real, living and reacting opponent. Iaido FAQ 18. Is Iaido dangerous? No. Iaido is a very safe martial art. However as with any physical activity injury is a possibility. Iaido FAQ 19. Are there any competitions? Yes, they are called Taikai. Participants may compete in aesthetic displays of Iaido kata. Iaido FAQ 20. How to begin? That’s the easiest part. Check Google for an Iaido dojo in your area. Select the dojo best suited for you and contact the instructor and let them know you are interested in studying Iaido. After that they’ll mostly likely invite you to come down and take in a class. Generally there is no charge for the first session and you’ll get direct experience of what it is like to train in the art, and you’ll be able to put any questions you have to someone that can answer you fully, allowing you to make an informed decision. I hope this Iadio FAQ has helped you understand a little more about Iaido and what it can offer you. Feel free to comment below with any additional questions and I'll answer as best I can. and I sincerely encourage you to contact us with any questions you may have, or better still, make an appointment at a dojo near you and try Iaido out for yourself. You've been reading the Iaido FAQ. Learn more about Iaido here.